As a Makeup Artist, or indeed, a Makeup Fanatic, there is nothing nicer than hearing how good your application looks and, indeed, that you have beautiful skin. However, every good application starts with good skin. Skin should be beautiful underneath the makeup as well. I’m not saying your skin needs to be flawless without makeup, mine certainly isn’t, but having a good base always helps with a smooth and good looking finish. 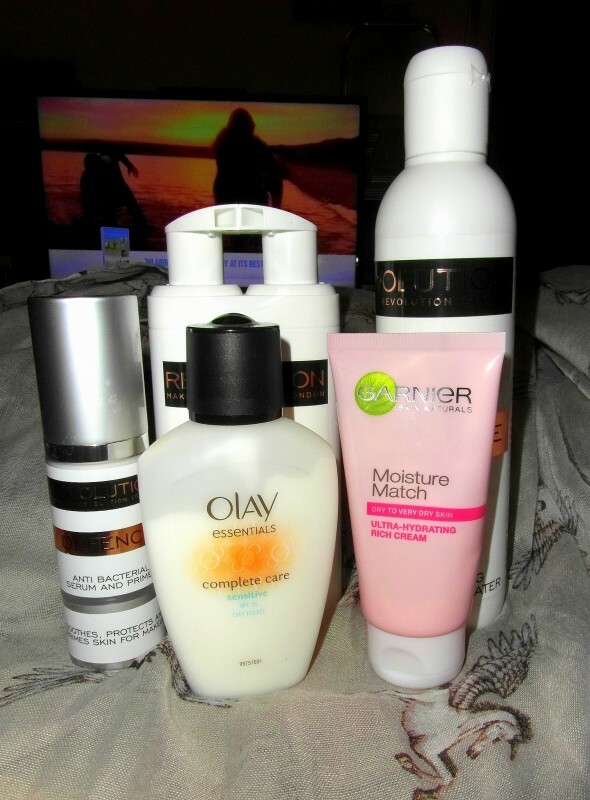 I have been complimented on my skin quite a bit, and although my skin is in no means perfect, it certainly isn’t the worst when I don’t have makeup on so I thought I would share my skincare routine and the products I use. Perhaps one of the most important things to do for your skin is to allow it to breathe. Allow your skin to have makeup free days (mine are usually at the weekend) and ensure that you remove your makeup before you go to bed, as night time is when your skin regenerates and heals itself. It contains everything your skin needs most: 24 hours’ refreshing mositurisation, SPF 15 protection and skin pampering vitamins. 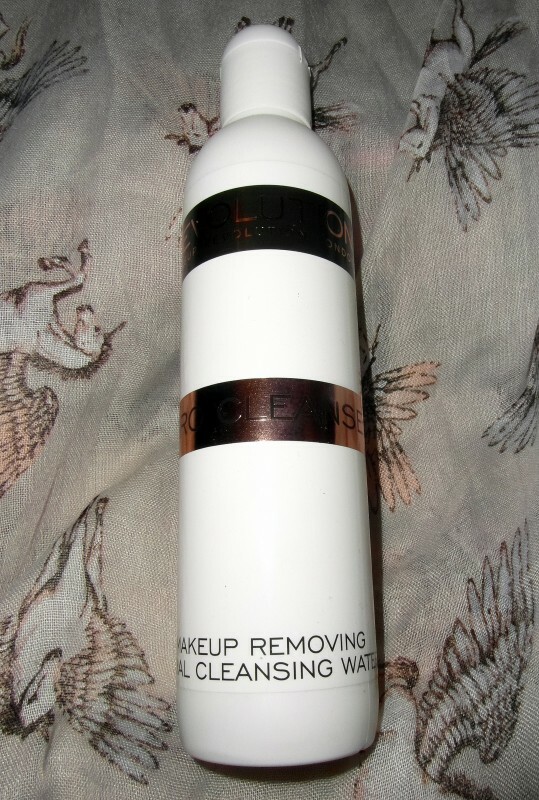 Makeup Revolution’s Facial Cleansing Water with Vitamins A, B and C, is specially formulated to gently remove all traces of makeup, impurities and surface grime. This alcohol and fragrance free water-fresh cleaner, softens and soothes while reviving skin’s natural radiance, leaving it feeling silky smooth, refreshed and makeup free. 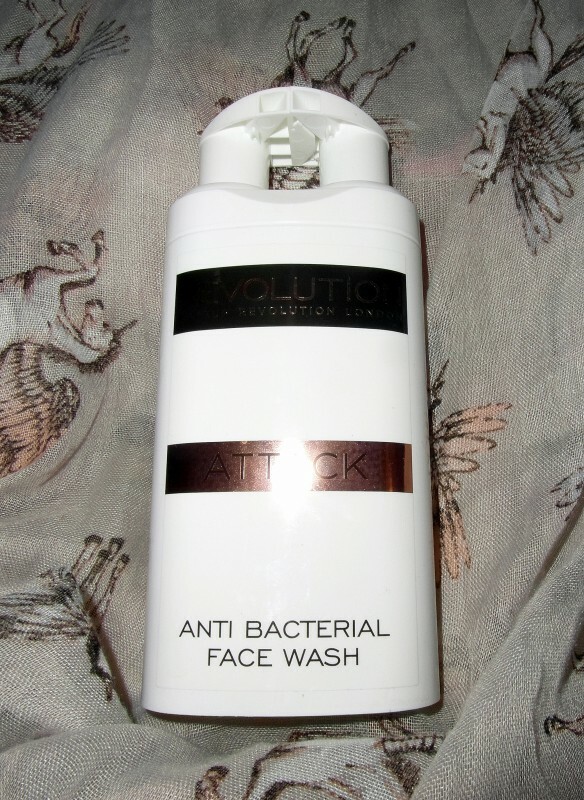 Makeup Revolution’s anti-bacterial face wash helps prevent spots, blemishes and breakouts by fighting the bacteria that causes spots. 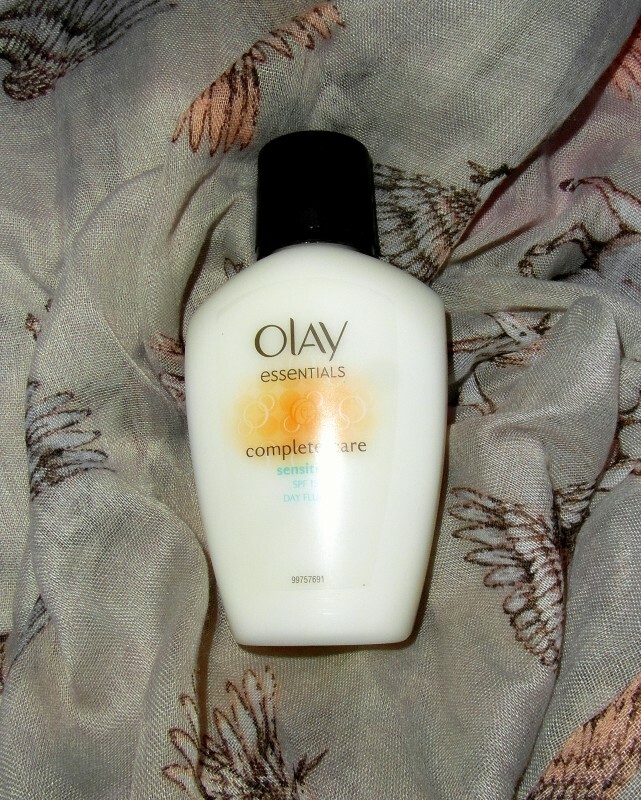 This effective combined cleanser and toner with dual foam formula helps clean pores and reduce excess oil. Dermatologically and clinically tested, Makeup Revolution’s anti-bacterial face wash is suitable for all skin types and is fragrance free. Enriched with camellia oil, known for its nourishing properties, Goodbye Dry immediately leaves your skin feeling soothed and silky soft. Nourished with moisture, your skin feels plumper and looks dewy. You can feel the difference. 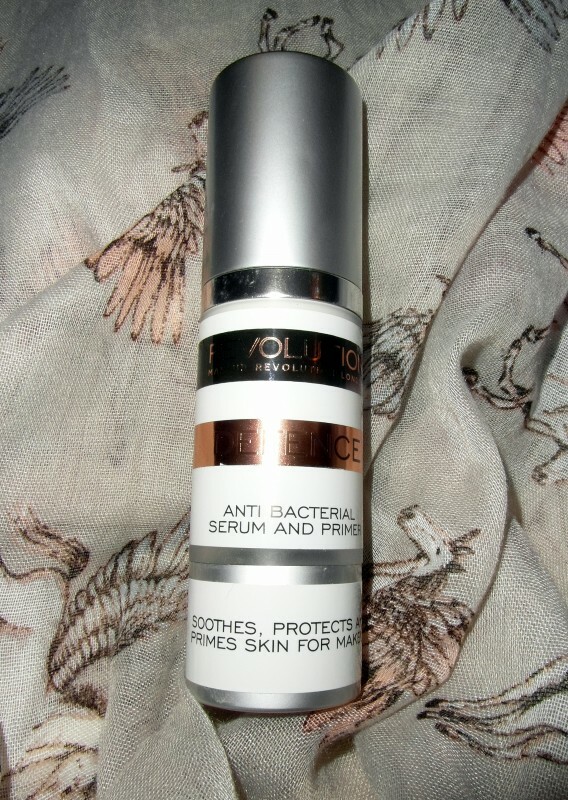 Makeup Revolution’s anti-bacterial serum and primer soothes, protects and primes the skin ready for makeup. The gentle formula for all skin types is enriched with Vitamins A, B, B5 and E to help prevent spots and blemishes, protecting the skin throughout the day and at night, allowing it to naturally heal. 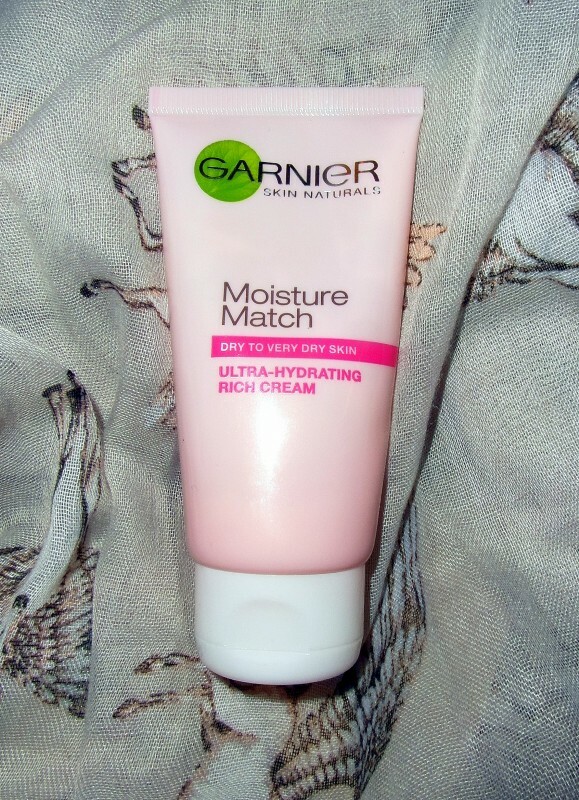 I found the last product too rich for my skin to be used as a makeup primer, but as a day time cream when I am having makeup free days or at night (instead of the Garnier cream), it works wonders. Taking all of that into consideration however, you cannot look after your skin and neglect your make up brushes and still expect to have beautiful skin and no breakouts or problems. 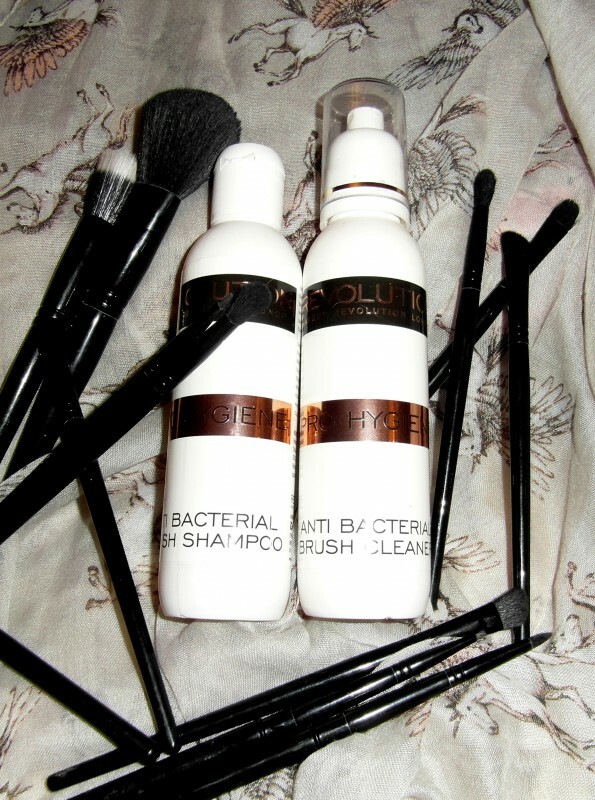 Makeup Revolution’s anti-bacterial brush cleaner is specially formulated to keep your makeup brushes clean and free from bacteria. This effective spray instantly sterilizes and disinfects, prolonging the life of your brushes. Makeup Revolution’s anti-bacterial brush shampoo cleans and helps maintain makeup brushes when used between makeup applications by washing away all traces of dirt, makeup and oil, leaving brushes clean, soft and conditioned. So, there you have it, that’s my skin and brush care routine and, although my skin isn’t the best, it is certainly a lot better for my routine. All of the views expressed within this post and on this website are mine and mine alone. All of the products pictured are mine and were bought and paid for by me. All of the images in this post are taken by me, unless stated otherwise. PLEASE DO NOT take, display, edit or otherwise use any of the images herein without my prior knowledge and express written consent.